Yeah, because of the bond between Master and Servant, on occasion a Master will have a dream of their Servant’s life. I think the only example of this in UBW was Rin with Archer’s stuff. Another transition episode of sorts, but rest assured that what comes after this and the next episode is real real damn exciting. On an unrelated note, they had to cut a bit of Sola-Ui’s internal monologue from the light novel for time when it came to making it an anime. “That’s right, it didn’t matter even if it was a lie—Sola thought about her hidden heart again. If she could preserve her ties with this man now, no matter in what way, it didn’t matter. For this sake, no matter how despicable the lie was, she would say it. She would not let anyone rebuke her for that. That’s right, never- she would never allow anyone to hinder her. He is not a human, but a spiritual being temporarily visiting from another world. A transient miracle brought forth by the Holy Grail. Yet, Sola’s feelings did not change. If she were to think back, ever since she had reached the age of reasoning, her heart had frozen. For Sola who was given birth to a family of magecraft who already had a legitimate child, she was not brought up with the feelings of a woman. The magecraft’s blood which was refined repeatedly throughout generations. A lady whose worth was nothing but that. It’s an interesting bit of nuance, though I can see why it was cut when she’s one of many characters. 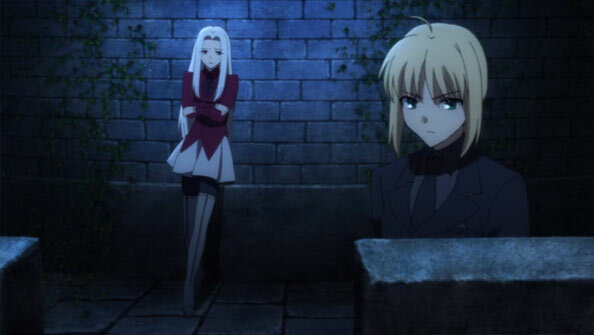 They only show the slightest bit of that in how Sola-Ui looks at Lancer – my first thought was “well, she’s not Saber, is she!” Glad for the elaboration on what was basically reduced to shorthand in the episode. I am streaming F/Z on Netflix, and there was a scene in ep 2 with Kiritsugu and Ilya looking for buds in the snow-covered grounds of the castle. Yeah, figured as much since you didn’t mention it. 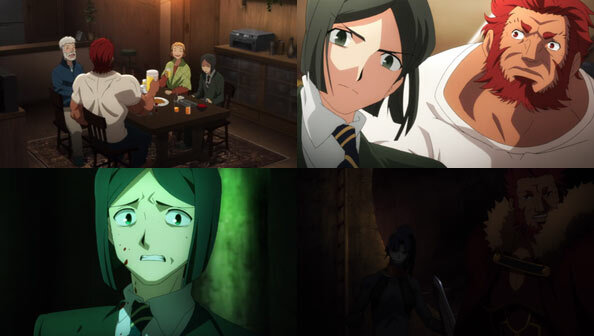 It’s a pity it’s only on Blu-Ray cause it’s a touching scene, but I can give you the LN’s transcript of it. The fair hunt for winter buds of wingnuts ended with Ilyasviel’s victory, ending a series of 3 consecutive defeats for the champion. Also, no field nut trees were found in the Einzbern forest. After the battle, the two casually walk back. Because they walked deep into the forest, the majesty of the Einzbern castle has become a silhouette in the haze. Having fulfilled her revenge, Ilyasviel looks up with a large smile at her father. Unable to look straight at her, Kiritsugu feigned serenity as best as he could. The smile of his beloved daughter was becoming too much of a burden for the man. Just how should he tell her? Until the end, maybe that will be the one thing he will think of. This is the worst struggle for Kiritsugu. But, by all means, he must win. For that purpose, he can’t afford to give up his life. So― the promise to his daughter to play again in the winter forest is only a small victory. Save everything. Abandon everything for that. To the man who swore to do that, love could only be a thorn. Whenever he loved someone, it was a curse to have to be ready to keep it hidden in his heart. This was the fate that burdened Emiya Kiritsugu in exchange for his ideal. Love was a torture that could not be healed. 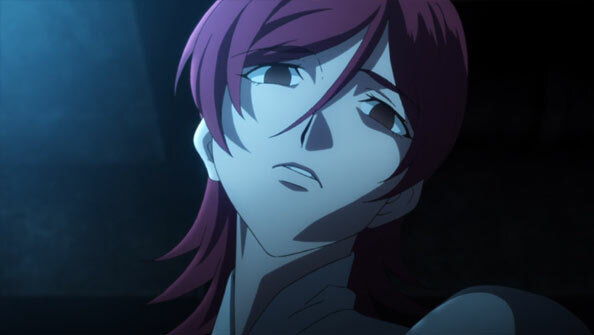 Then why―he was questioning himself when he looks at the frozen white sky and earth. Why did he love so much the one woman and the child he shares his blood with. Unaware of her father’s suffering, Ilyasviel asked with a lively voice. Hearing her reply without a shadow on her face was the finishing blow for Kiritsugu. His knees lost the strength to push through the snow-covered path. His wife was ready. His daughter was prepared. 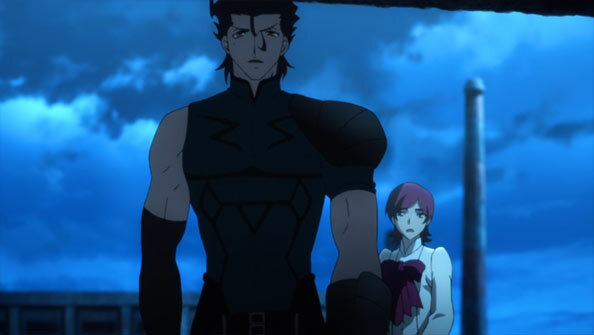 For the truth was that Emiya Kiritsugu was snatching her mother away from this young girl. At that point, Kiritsugu became aware of the blood dyeing his hands crimson red. He didn’t know how many people he had killed, how impure his arms were. For you to hold a child as a father, that is definitely unforgivable― he told himself. But wasn’t that warning the same as running away? This child will never be embraced by her mother ever again already. And if her father Kiritsugu abandons that duty as well… Who will be holding Ilyasviel again? Kiritsugu stopped his daughter walking beside him, dropped down and wrapped his arms around the girl. 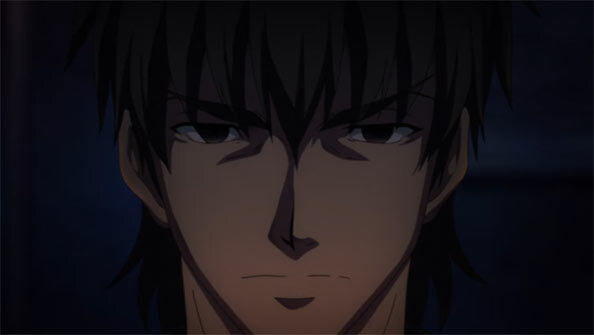 In 8 years, every time he held that small body in his arms, Kiritsugu doubted his fatherhood, deep inside. Disgusted by his acting as a father, he could only scorn at himself for being unable to do otherwise. But this too is reaching an end. As this child’s only father, he must hold her in the warmth of his arms. Without running away, without lying. Memories of this day will probably fill Ilyasviel with joy until the end. Her cheerful voice holds no grief. Emiya Kiritsugu took on another heavy burden. Enduring the thorn that is love that pierced his whole body, he tightly embraced his child for an eternity.